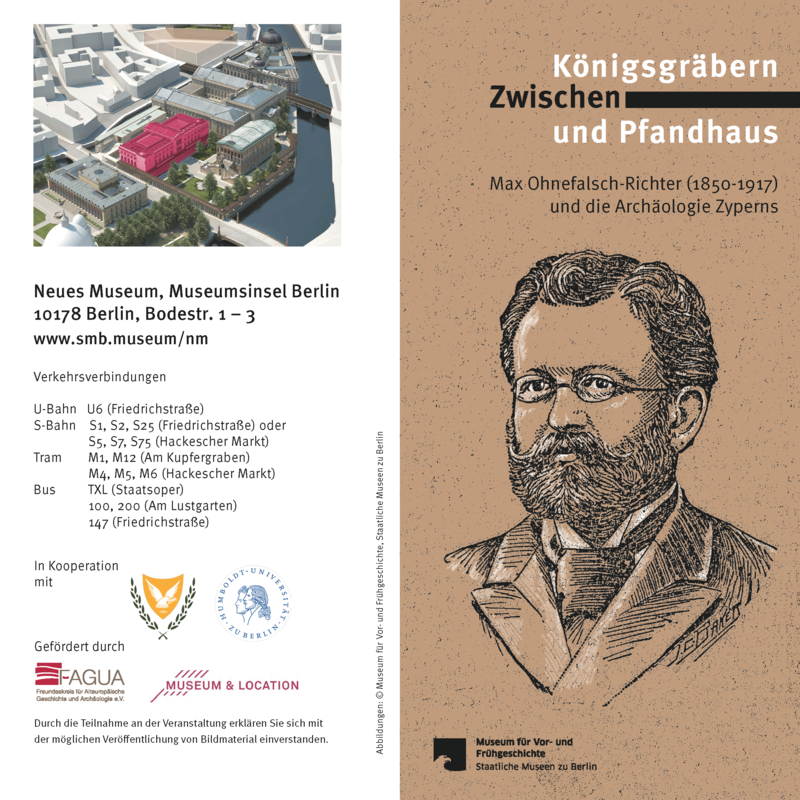 Between Royal Tombs and Pawn Shop: Max Ohnefalsch-Richter (1850-1917) and the archaeology of Cyprus – Studia Cyprologica Berolinensia e.V. Exhibition in Neues Museum, Berlin starting from December 1st, 2017. For more information on the exhibition read on here (German language only).